Cosy, quaint apartment with bags of character. 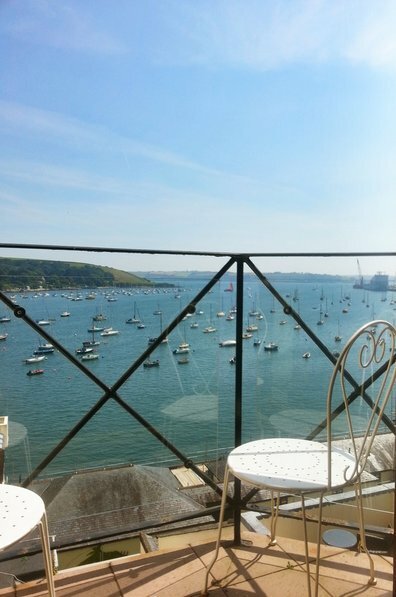 Amazing sea views over Falmouth Bay from the balcony yet seconds from the Town centre. The apartment is part of the reknown Packet Quays development, with panoramic sea views of the busy estuary and harbour, and views over to Flushing and the Roseland peninsula beyond from the balcony. Falmouth is world famous for its deep natural harbour, its beaches, marinas and yacht clubs, and Gull’s Way is the perfect pied-a-terre from which to enjoy all the town has to offer. Its convenient position at the top of the High Street, means you are seconds away from Falmouth's shops, restaurants, pubs, museums, galleries etc. With the beaches 5 mins away, you can have the best of both worlds, central location yet close enough to all that cornwall is famous for, its magnificent coastline. Falmouth’s natural harbour is a focal point for many water sports and the National Maritime Museum. Many of the harbour side shops, cafes and restaurants have unsurpassed views across the water to Flushing , Falmouth Bay and beyond. Falmouth’s main street has a charming mix of shops for gifts, clothes and antiques just head down the high street and your right in the action.